Our weight plates are popular and make up a large chunk of our sales. We could list many more styles of weight plates than this on our site. But we don’t. We have listed the most popular styles, determined through years of trial and error and listening to what our customers want. * Price per pound for 45 lb size. Smaller sizes of the urethane cost more per pound, as described below. ensure that it hardens as much as possible to prevent chipping or rubbing off. This is the method that has stood the test of time. Good baked enamel finishes last many years. Rubber coated plates are coated with rubber everywhere except for inside the center hole, which is left as an iron surface to ensure that it slides well on the bar. Don’t confuse these with bumper plates, which are solid rubber throughout and not just coated on the surface. These are not meant to be dropped from overhead like bumpers, but they do offer a certain amount of protection against chipping if dropped, and they’re very quiet as you load them onto the bar, not clanking into each other like non-coated plates. Troy VTX rubber coated plates use recycled rubber, and you can tell by its rough surface. However, the rubber is still very hard. It’s just slightly bumpy, very similar to a powder coated surface. Our other rubber coated plates are made from virgin rubber that gives a smoother finish. Finally, urethane is a premium coating. It’s more expensive than rubber, and for good reason. It won’t crack from extreme temperature fluctuations caused by exposure to direct sunlight, so you can use them outside or next to a window without a problem. A few holes around the plate make them easier to grip. It does help a lot for easy handling and reduced risk that you’ll drop anything, especially when you want to save time by carrying two plates at once. Nothing will ruin your year like a broken toe. 450mm (approximately 17.72″) is IPF and IWF regulation size. The reason is so when you’re doing deadlifts or cleans the plates are all touching the floor evenly. This reduces the risk of damage when you set it down hard after a heavy rep.
Only some of our plates are this 450mm size, so be careful about mixing different models of plates. For a few plates we have a 100lb size as well, and they are the same diameter as the 45lb size. All other weights 35lb and below are always a smaller diameter, so they don’t touch the floor. This is in contrast to bumper plates, which are usually all 450mm regardless of weight. With the popularity of bumper plates and their steel hub, Troy and York both make rubber-coated plates with steel hubs as well. The main purpose is to prevent wear on the hole and the ridges of the barbell sleeve. Some modern barbells (actually, most of ours except York) now have small ridges on the sleeves to help keep plates from sliding around and to help collars lock in place better. The downside to that is most iron plates will make an annoying “zzzzziiiiiiiip!” sound as you slide them on. So a bonus to these steel hubs is it slides very smoothly against the ridged sleeves. But depending on your needs, this may possibly be a drawback if you lift without collars most of the time and don’t want the plates to slide too easily. The best we can offer is 2% on our plates with fully machined surfaces. This means a 10lb plate could be off by up to 3 ounces, or a 45lb plate by 14 ounces. In reality the accuracy is tighter than that, because the manufacturers certainly don’t want to be replacing very many plates. They actually check all or most plates to help ensure that this doesn’t ever happen, and we haven’t dealt with a single case of it happening. So these really are pretty good. One step below Troy’s premium plates with 2% weight tolerance is the Troy VTX plates, which are within 4%. Troy actually says 3%, but we inquired to be sure, and it’s really going to need to be significantly over 3% before they will replace any, so we just say 4%. That being said, we haven’t had any problem with these either. Even our economy plates are better than the cheap plates you can find elsewhere that might be off by as much as 10%. We don’t have a weight guarantee on these particular plates, but you should find that they are always within 5% and usually well within that range. The reason for the variance is how they’re made. All plates are first made by iron casting in a mold. The mold doesn’t always create a perfect plate on all edges. Calibrated plates are cast a little larger than needed and then stuck in a spinning wheel to be machined down. First the outside edges are ground down to the right diameter, and then the machine works on other edges until the specified weight is reached. So that’s why the 2% tolerance plates are close to dead-on. But the machining is an extra step that adds to the cost. The whole selling point of the economy plates is they’re the cheapest ones we have for those of you are mostly concerned about price. Most of our plates are priced per pound, so for example 300 lbs of plates of the same style are the same price no matter what combo you put together. One exception is our Troy urethane plates. The urethane coating makes up a larger percentage of the total material in the small plates, and urethane is expensive, so Troy has chosen to price the smaller plates at a higher price per pound. We provide the economy plates for people who really want them, but they have a narrow flange (or rim), which makes them a little harder to carry, especially carrying a 45lb plate one-handed. The York Legacy or Troy Premium are a much better value for your money and not much higher priced. They have wide flanges. They also have tight weight tolerances so you know you’re lifting as much as you expect. A third bonus of these better plates is you will be able to mix and match plates more easily in the future with the same regulation 450mm diameter. When I started weightlifting about 40 years ago with an Olympic bar and weights York I could slide the plates on the bar and use the weights and bar without collars or any wobbling. Now I have the YORK Legacy Plates and when I put them on the bar they wobble. 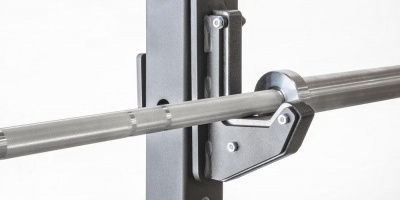 Did YORK and other Barbell Co’s open up there plate tolerances? As far as I know York is the only notable company that opened up their plate hole sizing. I think it’s a weird decision as far as quality goes, but they’re bigger than me and it was some kind of business decision. York’s bar sleeves are all the right 50mm size though.